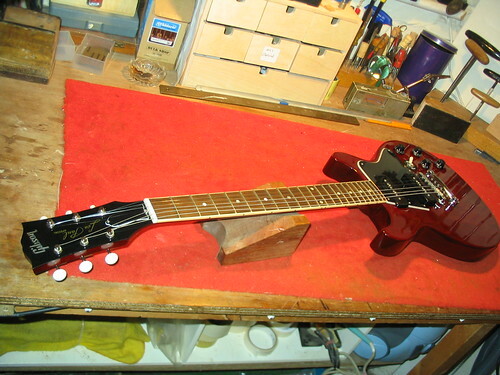 Here’s a 10 year old Les Paul Special. It never left the bedroom in all that time and then on its first gig took a tumble when it was hit by a flying mic stand. It was on loan from a careful owner who had never gigged it. Then after just one gig the guitar had a cracked headstock. Ooops! Click on the image to view the case study.